The RVK Energy Power Project of 6 MW has been set up in Machillipattanam located in Krishna District of Andhra Pradesh. 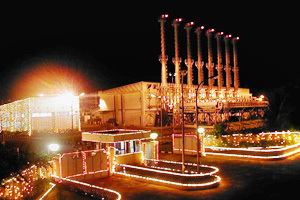 The Natural Gas fired Power plant has been operational since January, 2001. The Operation and Maintenance was carried out initially by Caterpillar and is currently done in-house. The Kasargod Power Project of 21 MW has been set up in the Kasargod District of Kerala state. 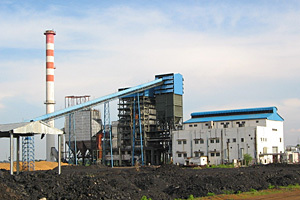 The Low Sulphur Heavy Stock (LSHS) diesel fired Power plant has been operational since May, 2000. 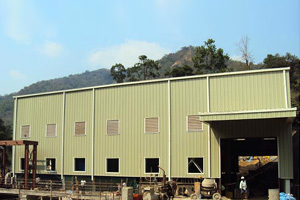 The Operation and Maintenance is done in-house by the company. 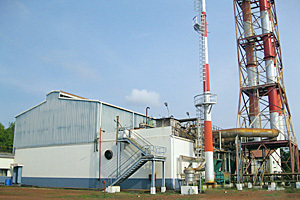 The Kerala state electricity board (KSEB) is the beneficiary for the power generated from the plant. KVK Bio Energy Pvt. Ltd. The KVK Bio Energy Power Project of 15 MW has been set up in the Champa-Janjgir district of Chhattisgarh state. The Power plant has been operational since February 2006.The Operation and Maintenance is done in-house by the company and supplies power generated from the plant to Chhattisgarh State Electricity Board. MMS Steel & Power Pvt. Ltd. The MMS Steel Power Project is currently operating at both Nagapattinam, Tamil Nadu (35 MW) & Nallur district, Tamil Nadu (8.32 MW). The Natural Gas fired Power plant has been operational since December; 2003.The Operation and Maintenance is done in-house by the company. The Captive Consumers / Merchant basis are the beneficiaries of the power generated from the plant. RVK Energy (Rajahmundry) Pvt. Ltd. 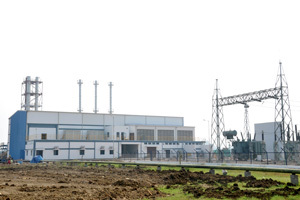 This is a Natural Gas based power plant located in Rajahmundry, Andhra Pradesh and the phase I of the project has been commissioned.The Power Sale is based on Merchant basis and Fuel Supply Linkages based on the Allocation received from MoP & NG, Govt of India. We are prepared to commence construction activities at the project site for the Phase II and the project is planned to be commissioned in the XIIth Five Year Plan. 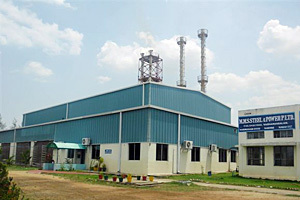 Nagarjuna Hydro Energy Pvt. Ltd.
Kadamane Mini Hydel Scheme-2 (KMHS-2) a 2 x 7.5 MW is a environmentally sustainable small hydro power project implemented by Nagarjuna Hydro Energy Pvt. Ltd. with KVK Energy's objective to utilize the natural water and head available at the project site for generation of clean renewable energy. The project has been operational since May 2010 with the generated power being supplied to Karnataka Power Transmission Corporation Ltd. The operation and maintenance (O&M) of the Hydel Project is done in-house by the Company.